Whether it's residential or the commercial market, such as apartments and hotels, you can enjoy the savings and convenience of inexpensive remodeling. Tired of your old, worn, stained and color-dated bathtub and tile? Refinishing not only saves you a tremendous amount of money, most job can be completed the same day, as everything stays in place. You could be using your beautiful tub and tile the very next day. The new finish is extremely durable, easy to clean, and can be applied in any color. It’s time that you take a good look at your bathtub. If you are not happy with your tub, there are various services that can be done to improve the appearance. Whether it is old, stained, worn, or even color-dated, Cozy Bath Tub in New York can help. We work within the residential and commercial markets, allowing you to improve your tub no matter where you are. Bathtub refinishing in Queens can be just what you need to save a lot of money. There’s no need to pay to replace your tub where you are going to have to rip the tub out, buy a new one, and then pay to have it replaced. We can work with your existing tub for refinishing and save you hundreds of dollars. Everything stays where it is and it could be back in service within a single day. The new finish that is applied to your tub is durable, easy to clean, and can be applied to any color that may be in place right now – including some of the old school yellows and pinks that used to be popular. Cozy Bath Tub is licensed and insured. We have been in business since 1999 and have reglazed thousands of tubs since then. 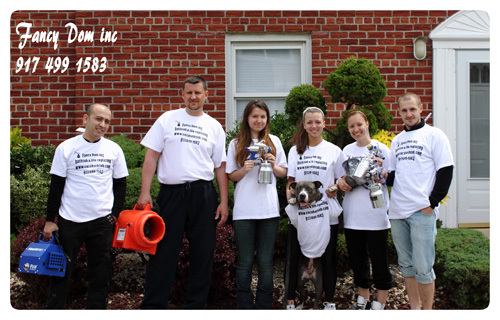 We focus on quality and are known throughout New York for the work we do. We work quickly so you can begin using your tub almost immediately. There’s no reason to have your bathroom out of commission for days and that’s why we offer the services that we do. Once we leave, it can dry for a few hours and be put back into use. There are all sorts of tubs that we work with. Bathtubs, jacuzzi tubs, shower stalls, laundry sinks, bathroom sinks, kitchen sinks, and even antique bathtubs can be worked on in New York so they look better than ever before. Each of these are going to provide a different appearance and involve a slightly different process based upon what you want to accomplish. We can change the color, address damage, improve the grip at the bottom of the tub, and much more. We have worked with landlords of apartment buildings in New York, homeowners throughout Queens, and even bed and breakfasts. Even the ugliest of tubs can turn out beautiful because of our ability to dissolve old enamel, strip the coating away, fix scratches, and apply a completely new coating. Don’t assume that a tub has to be replaced. Our tub resurfacing process has been able to work wonders for thousands of tubs and no matter what yours looks like, we have the experience and tools to make it look absolutely beautiful so that you can feel confident climbing inside of it for a bubble bath once again. Our “Before & After” section can show you what your bathtub could look like by choosing our services. Bathtub renovation has never been easier and will show you how gorgeous your tub can look within a few hours. Whether you are in Brooklyn, Queens, or elsewhere in New York, we can come out and take care of your tub reglazing or tub renovations quickly and affordably. I am in this business since 1999. By now, I have reglazed over 10,000 tubs! 1. The process of reglazing a tub takes up to 3-5 hours. 2. Prior to the reglazing I finish scratches, rust stains, holes all this work is included in the price set. 3. It doesn't smell too much because I use special ventilation fans. 4. You can use the tub the next morning. If there was any masking paper left around refinished tub, it is very easy to take it off yourself. Consumer Affairs of New York State advises you to use licensed and insured home improvement companies! Have a look at photo gallery in our "Before & After" section! You will see, that we only use samples OUR OWN WORK. And never copy someone else’s photos or materials for marketing purposes.